The Museum has won many awards including a Visit England Gold Accolade and the Small Visitor Attraction of the Year at the Cotswold Tourism Awards 2015. 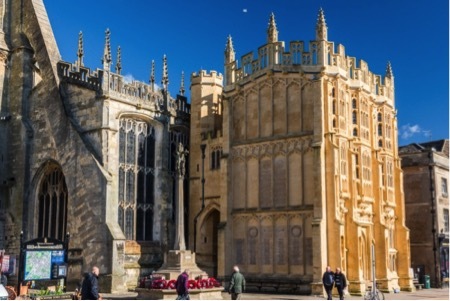 By visiting the Museum you will discover the archaeology and history of Cirencester and the Cotswolds. It was about 35,000 years ago that the first modern human beings appeared in the Cotswolds; evidence of their existence comes from their worked flint tools, most commonly ‘ hand axes’. Soon after the Romans arrived in Britain in AD43, a cavalry fort was built on the outskirts of present day Cirencester. By AD75, this fort had been dismantled and over the next fifty years the town of Corinium Dubunnorum was laid out in traditional Roman style. Between 100 – 150 AD the Basilica / Forum complex, a theatre and the amphitheatre were built. 90 or so mosaic floors have been found in the town and surrounding villas. Mosaics include the ‘Hunting Dogs’, the ‘Four Seasons’ and the spectacular Hare design mosaic which is unique and in the Museum reception area. From the 12 the century a trade in Cotswold wool began to develop which by the 14th and 15th centuries was on an international scale. 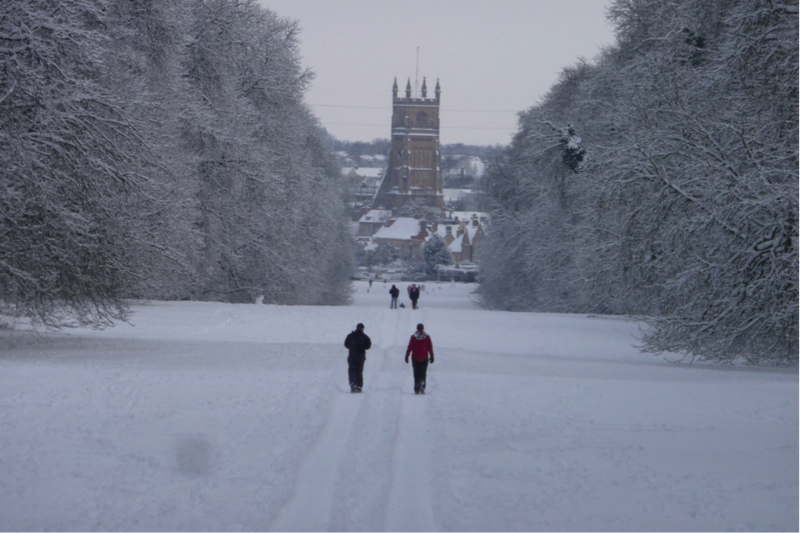 Wool was such an important commodity throughout the Cotswolds that many of its medieval churches were built with money from rich Cotswold wool merchants. Often called the ‘ Cathedral of the Cotswolds’, St John the Baptist is one of the largest and most elegant medieval churches in the country. The Romans built the first known church here. This was destroyed by the Saxons when they gained control of the area after the Battle of Dyrham in 577 AD. The Saxons built a church in this location, which stood for over 400 years. This church was replaced by King Henry I in 1117 AD when he founded the Abbey and the parish church. King Henry’s church was rebuilt around 1240 and again in a Perpendicular Gothic style around 1520. It is largely this church that we see today. This porch was built around 1490 by the Abbey. It wasn’t part of the church until it was joined to the church in the 18th Century, long after the Abbey had disappeared. The South Porch is one of the most elaborately decorated porches for an English parish church. After the abbey was dissolved in the Reformation the rooms over the archway served as the town hall. At the top end of Cecily Hill are the Barracks. They were built in 1857 as the Royal North Gloucestershire Militia Armoury. In 1881 the barracks became the depot of the 4th Battalion of the Gloucestershire regiment. 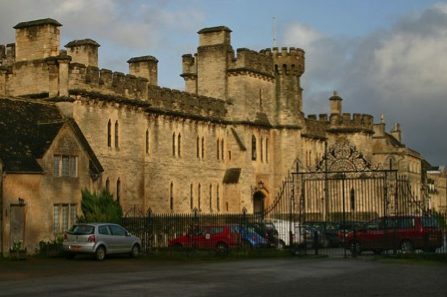 The building is now used for commercial use and was used by Cirencester College, who gave it the name ‘ the Castle ‘ – its easy to see why! This 300 year old hedge is 40 ft tall and 15 ft wide. It is the largest of its kind in the world. Every year it takes two men and a cherry picker two weeks to trim. A tonne of trimmings are produced and are used in making a chemotherapy drug called Docetaxel. 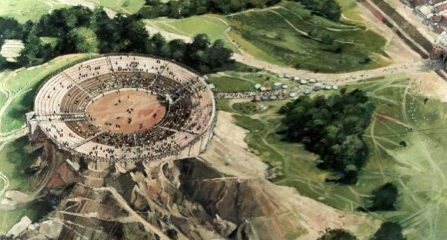 On the outskirts of Cirencester are the massive earthwork remains of one of the largest Roman amphitheatre in Britain. 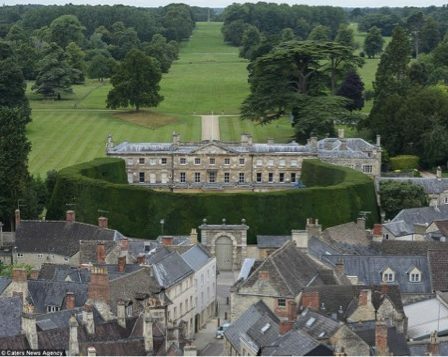 It was built in the early 2nd century, when the Roman city of Corinium ( Cirencester) was second only to London in size and importance. In AD 408 the last contingents of the regular Roman army left Britain. Without their pay to support the local economy and maintain order, and with no central administration to maintain communications, town life rapidly declined. Private patrons prepared to pay for the public games could not be found. No longer used for the pursuit of pleasure, the amphitheatre became a fortress in an attempt by the town leaders to safeguard their community.